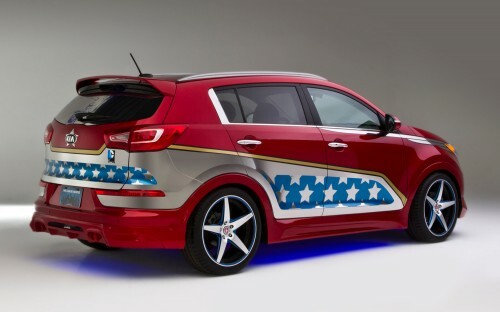 …the Wonder Woman Sportage adds an aero kit, and is finished in a red and blue paint scheme accented with silver stars, much like the heroine’s outfit. 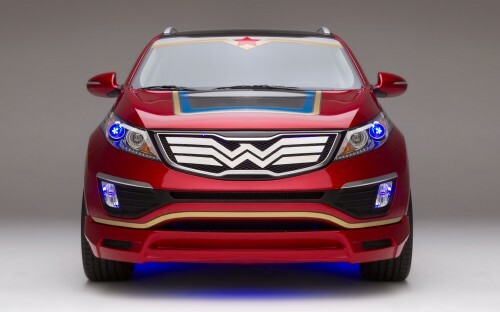 The gold trim on parts of the CUV represent Wonder Woman’s Lasso of Truth, while the Tiger Nose grille wears the Wonder Woman’s eagle chest-plate emblem. Blue headlight beams mirror her blue eyes, and the windshield is topped off with a tiara sticker. 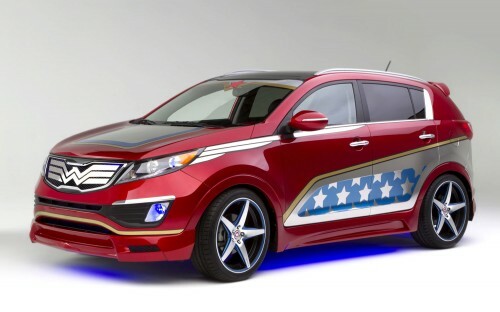 Chrome side panels represent her invisible jet, and the five-spoke wheels match the stars stamped on the side of the Sportage. Open up the doors, and red upholstery is highlighted with blue LED accent lighting. 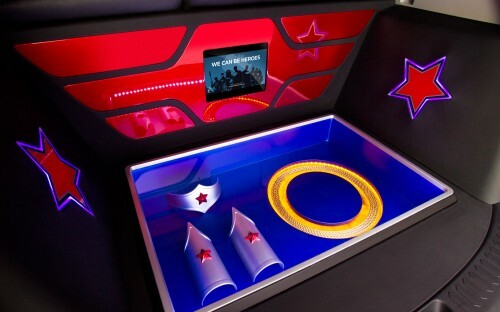 The custom seats are embroidered with her logo, and the rear cargo area is decorated with stars and an eagle, along with a see-through panel that displays Wonder Woman’s bracelets, tiara, and her golden lasso. 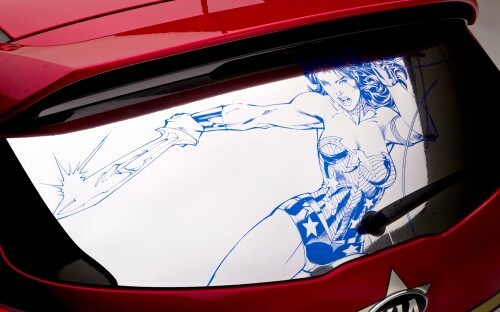 via Kia’s Wonder Woman Car Is Not Invisible. Awesome! How long did it take you to do this? Do you still have it? Can I ask about how much time & $$ was put into this? I love WW.